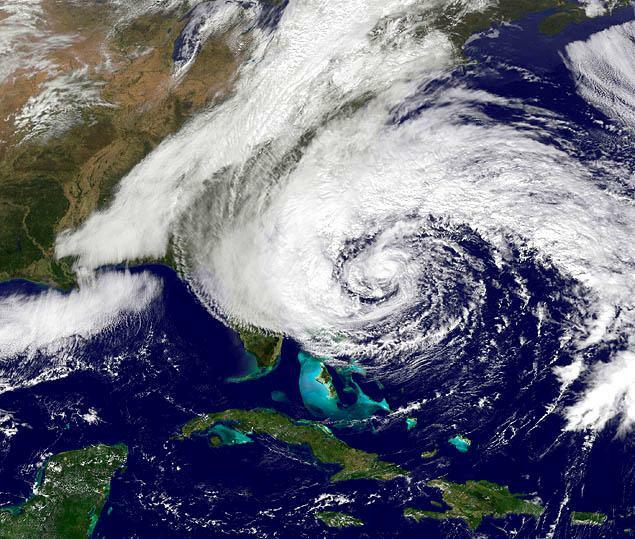 Adjust PortfolioCenter for Hurricane Sandy market closures Let us manage the data, so you can manage the money. For the most accurate Time-Weighted Rate of Return (TWR) and Internal Rate of Return (IRR) calculations, PortfolioCenter needs the dates the markets are closed. Normal holidays are built in to the program. Not since the Great Blizzard of 1888 has the US stock markets closed for two consecutive days due to weather. However, when the markets close unexpectedly — as they did for Hurricane Sandy — or the actual holiday falls on a weekend, you need to manually adjust PortfolioCenter to ensure PortfolioCenter can has the correct number of days for performance calculations. 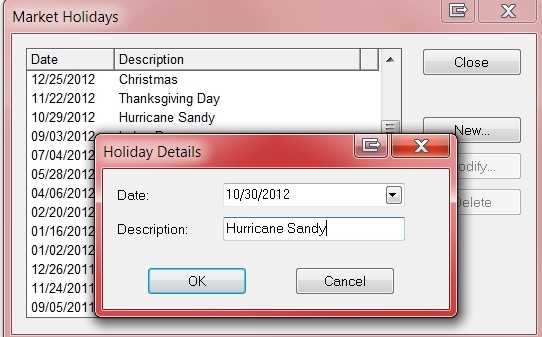 To adjust for Hurricane Sandy, go to Settings | Market Holidays | New and add 10/29/2012 and 10/30/2012 — and any other day the stock markets remain closed. What if your broker sends transaction and price files anyway? If you receive a transaction file and a price file for the “closed” days, I would treat the “closed” days as normal. Do not update the holiday schedule, and post the files you receive. However, check for missing prices. If your 10/29/2012 and/or 10/30/2012 price files are incomplete (for example, they contain only fixed income securities), copy the 10/26/2012 prices forward to ensure every open security is priced on every day. Does the NYSE closure affect PortfolioCenter? Why does the dividend looks like a loss in PortfolioCenter? How to adjust the columns on PortfolioCenter reports?